At MindWolves, we’ve figured out a process to help you find life’s holy grail, and we’d be grateful for the opportunity to “hold your hand” throughout the journey. It’s called The Fordriven™ Process. While it’s true that beliefs influence behavior, the inverse is also true. Behavior drives beliefs. New behaviors shape new beliefs. Only then can we live a forward-driven life, rather than one looking in the rear-view mirror. That’s what Fordriven™ means. Changing behaviors, changes beliefs, which unlocks the door to forgiveness and empowers us to feel successful. Success, in this context, is defined as the progressive realization of a worthy ideal. The Fordriven Process is a system to transform your life. The starting point is an awareness assessment to baseline where you are today. By developing good habits, you will become Fordriven to find life. Through trial and error, you’ll be “refined by the fire” and eventually cross finish line to claim your reward, life’s holy grail, becoming a Jack of One Trade™. 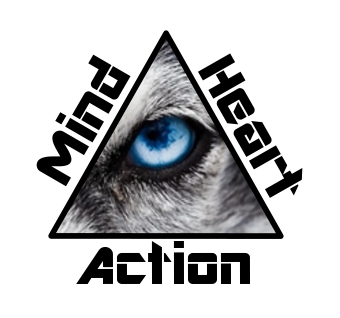 Continuous monitoring, learning and improvement of your mind-heart balance is required. The Fordriven Process will transform you into a Jack of One Trade. What are some good habits to consider? What does becoming a Jack of One Trade feel like? What does living a Fordriven life mean?